It is a story like no other: an epic of endurance against destruction, of creativity in oppression, joy amid grief, the affirmation of life against the steepest of odds. 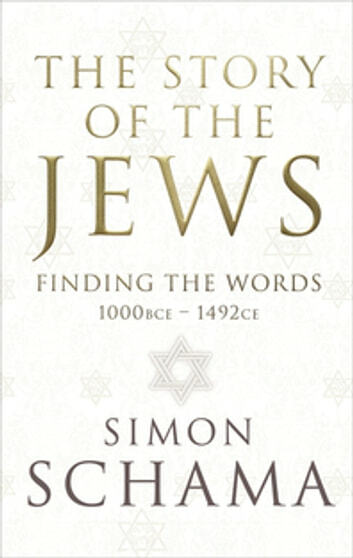 The first of two volumes, The Story of the Jews spans the millennia and the continents—from India to Andalusia and from the bazaars of Cairo to the streets of Oxford. It takes readers to unimagined places: a Jewish kingdom in the mountains of southern Arabia, a Syrian synagogue glowing with radiant wall paintings, the palm groves of the Jewish dead in the Roman catacombs. And its voices ring loud and clear, from the severities and ecstasies of the writers of the Bible to the love poems of wine bibbers in a garden in Muslim Spain. Within these pages, the Talmud burns in the streets of Paris, massed gibbets hang over the streets of medieval London, a Majorcan illuminator redraws the world, candles are lit, chants are sung, mules are packed, and ships loaded with spices and gems founder at sea. 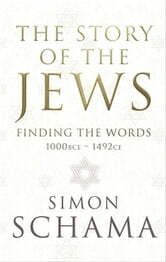 Which makes the story of the Jews everyone’s story.